To say that Busch Gardens Tampa has a lot going on in 2019 is a bit of an understatement. The park is celebrating a whole year of fun with something new every week during it’s 60th anniversary celebration, and now that fun is getting more family friendly with tons of happenings just for the little ones. From Sesame Street, PJ Masks and more, there’s going to be a lot of fun happening, and it all begins this week! 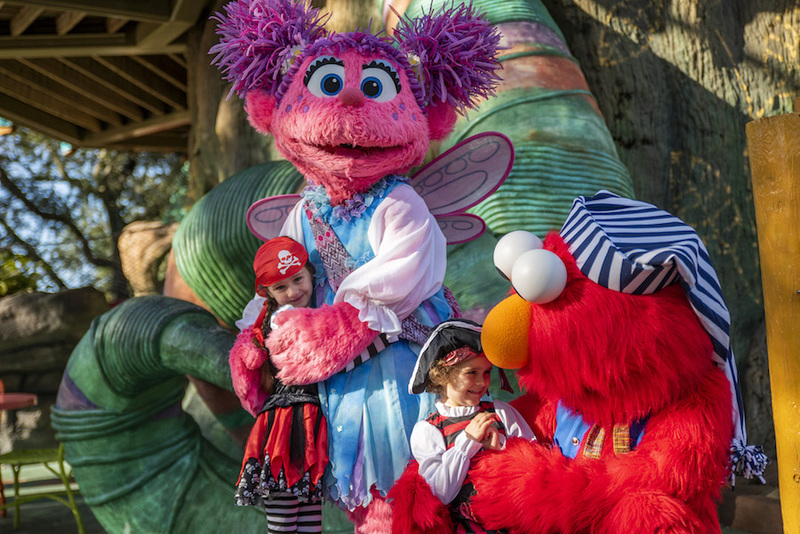 Saturdays & Sundays: Feb 2, 3, 9 & 10 from 11:30 A.M. – 4:00 P.M.
Join the Sesame Street krewe for a pirate filled paRrrr-ty! Families can enjoy special character interaction, themed story time, treasure scavenger hunts, and dance parties for pirate-inspired frivolity. The fun begins each Saturday and Sunday at 11:30 a.m. in the Sesame Street Safari of Fun area of the park. Families can also catch the return of Let’s Play Together, a heartwarming live show all about the beauty of friendship, now playing select days at the Sunny Day Theater. For an unforgettable dining experience, families can book the Lunch with Elmo and Friends*, featuring kid-approved buffet and photographable memories with their favorite furry friends. Peppa Pig is making a big splash at Busch Gardens Tampa Bay! Guests can make mealtime more than memorable at Dine with Peppa Pig*, an unforgettable dining experience featuring a kid-friendly buffet and photographable moments at the Sesame Pavilion. It will be more fun than a muddy puddle! Guests will be ready to save the day with an action-packed visit with the PJ Masks. Families can take their fan experience to the next level at Dine with PJ Masks* – a kid-friendly buffet where kids can meet and take a photograph with their favorite mystery-solving heroes, Catboy, Owlette, and Gekko! Sesame Street® Fun all year! This spring, join Elmo, Rubber Duckie, Cookie Monster and the rest of the gang for fun-filled weekends including dance parties, crafts and more! 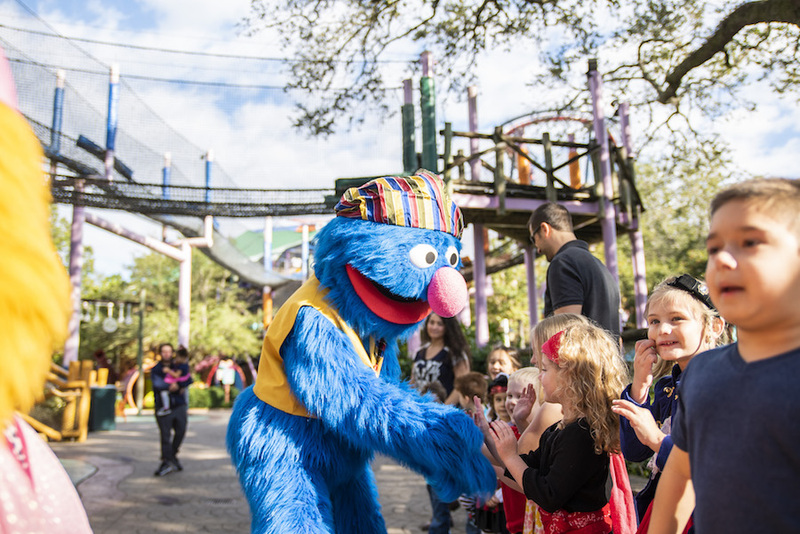 Fall-inspired activities lead the way weekends in October at Busch Gardens’ Sesame Street Safari of Fun. Kids won’t want to miss dance parties featuring their favorite Sesame Street friends like Elmo, Abby Cadabby, Cookie Monster, Grover, Rosita, and more who will make special appearances dressed in their best Halloween attire. If you’re looking to save money while you have fun, then Busch Gardens Tampa has you covered with the Preschool Card. Florida residents can register now up until May 19, 2019 for the 2019 Preschool Card, which is valid for unlimited visits at both Busch Gardens Tampa Bay and Adventure Island for children ages five or younger through December 31, 2019, and it’s 100% free. Stay tuned for more from Busch Gardens Tampa, and be sure to get social with us on Facebook and follow along with us on Twitter @BehindThrills for the latest updates! For more information about Busch Gardens Tampa, including tickets, visit the official website by clicking here!